Backcountry skier Matt Paul looks at his line down a couloir in the Angora Peak area. TRPA recently acknowledged some of the Tahoe Backcountry Alliance's concerns regarding access points to winter recreation. Both groups said they hope to work together to address future issues. MEEKS BAY, Calif. — When it comes to advocacy in the Lake Tahoe Basin, mountain bikers have the Tahoe Area Mountain Bike Association and the International Mountain Bike Association. Hikers and environmentalists have the Sierra Club and the Tahoe Rim Trail Association. But no one appears to be advocating for an increasingly avid backcountry skiing and snowboarding population — one that has expressed a concern that its access to winter recreation opportunities has been reduced in recent years. That lack of representation could be on the verge of changing with the Tahoe Backcountry Alliance — a group of backcountry users starting to work on increasing, and at times regaining, accessibility to Tahoe Basin ski terrain. While currently just a Facebook page, the group is in the process of becoming an official nonprofit and has already successfully lobbied for changes in the Caltrans Highway 89 overhaul project between Emerald Bay and Meeks Bay. 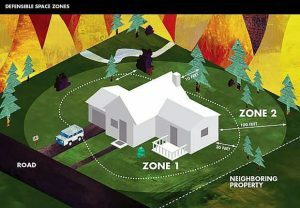 The Tahoe Regional Planning Agency announced recently that it has acknowledged some of the group’s concerns and plans to continue to work with them in the future. Lotshaw cited summer parking and access concerns all around the lake, including places like Highway 28 near Incline Village. He said these issues will continue to be addressed in the upcoming interagency Tahoe Regional Transportation Plan. Concerns regarding winter access arose with the current Highway 89 project when it eliminated or reduced both official and unofficial on-and-off-road parking places used as winter access points for backcountry enthusiasts. Offenbacher is among the Tahoe Backcountry Alliance members looking to work with Caltrans, TRPA and other organizations moving forward. After hearing the outcry from the community, Caltrans and TRPA have since revised the current project. They also met with Backcountry Alliance officials on Friday, Oct. 23, to discuss future concerns. The revision includes a 25-by-180-foot paved pullout south of DL Bliss State Park. Additionally, California State Parks offered to provide plowed winter parking at DL Bliss State Park Visitor Center — a service that one Backcountry Alliance member said had been done in the past but was stopped due to budget constraints. The original purpose of the highway project is to better manage soil erosion and stormwater pollution, which Lotshaw said remains the primary focus. 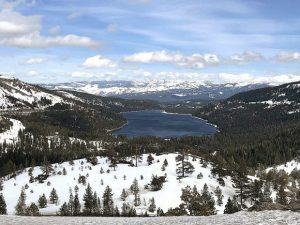 Both Reichel and Offenbacher said their group hopes to further amend a number of backcountry access issues by working with TRPA, Caltrans, the U.S. Forest Service and other relevant organizations. Access along Spring Creek Road near Fallen Leaf Lake was another concern they each mentioned. 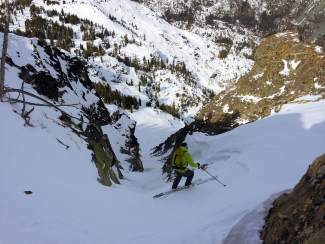 “For decades backcountry skiers had access to that road,” Reichel said, adding that the Forest Service now closes a gate on it, thus making it more difficult to reach popular terrain. More information on the group’s progress and future membership is available on the Tahoe Backcountry Alliance’s Facebook page. The group hopes to have a website put together in the coming months.